This meetup is unfortunately cancelled; we experienced a terrible storm last night that took out a greenhouse and some other things on our property, and we got barely an hour of sleep. The greenhouse has blown over into an inactive oil rig and we need to try and get a hold of the company who's responsible for it so we can apologize and get it removed for safety reasons. I'm really sorry about this, but there's just no way we can vendor all day on an hour of sleep. My family and I will be exhibitors at the 2018 Oklahoma City Toy Show in June (mostly looking to display and sell off our model horse collection), and I was wondering if there were any Okies or people from surrounding states that would be interested in meeting up and hanging out for a bit there? 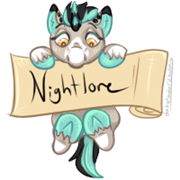 Would love to meet some members of the pony community! I fully intend to be there unless I am down with my stupid knee (which I seem to have wrecked and now need surgery). I can't wait! We'll have so much fun! I don't think, therefore I'm not. Thanks to Philly for my adorable Minty avatar! Awesome! I hope to see you there! I'm really sorry but we just had a heck of a severe storm last night and we lost our greenhouse and a bunch of other stuff and got maybe an hour of sleep. It looks like we're not gonna make it down there I'm really really sorry, I was looking forward to it but I just can't drive with that little bit of sleep, let alone vendor for a day.